Cybersecurity experts at CSU believe Australian businesses suffering from the latest ransomware attack 'Petya' have not learned sufficiently from a previous global attack. Cybersecurity experts at Charles Sturt University (CSU) believe Australian businesses suffering from the latest ransomware attack 'Petya' have not learned sufficiently from a previous global attack. 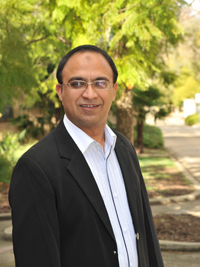 "We haven't acted on the lessons learnt in the 'WannaCry' attack in May," said Associate Professor Tanveer Zia from CSU's School of Computing and Mathematics in Wagga Wagga. "Targeted organisations haven't fully protected their systems against future assaults with updated security 'patches'. "While this attack is no different to the 'WannaCry' attack, some cybersecurity pundits believe this new attack is worse. "The scale of the latest attack seems to be broader and is hitting more Australian businesses. For example, the Cadbury's chocolate factory in Hobart stopped production after its US parent company Mondolez International was hit by the attack. Other prominent Australian businesses have also been stung," Professor Zia said. Dr Rafiqul Islam,from CSU's School of Computing and Mathematics in Albury-Wodonga, also noted that 'Petya' has attacked larger corporations, whereas 'Wannacry' simply attacked poorly protected systems of all users. Both experts observed that the 'Petya' hackers have used a demand of US$300 ransom to be paid in bitcoins to unlock compromised data, regardless of whether infected computers belonged to a personal user or a staff member in a large global company. "Every connected system is vulnerable to attack," Professor Zia said. "Infected or 'phishing' emails are sent using auto scripts which do not recognise a place or a type of business. As soon as the script identifies a vulnerable, unpatched system it can spread its infection into the computer. The more connected we are to global systems, the more open we are and the threat increases. Dr Islam noted that this connectedness increases as the National Broadband Network (NBN) rolls out across Australia. "It is hard to say at this stage whether Australia will be more susceptible to cyberattacks," Dr Islam said. "It depends on what defence mechanisms NBN is using and what level of protection it's providing to users," Dr Islam said. As with any infectious disease, Professor Zia believes prevention is better than cure. "Information technology professionals need to be proactive. 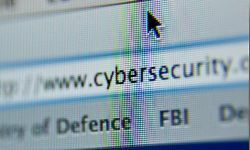 They must convince their senior managers to increase cybersecurity budget and immediately apply the latest security patches and increase the frequency of data backups," he said. "This investment will return value to the firm in multiples; paying the ransom will simply encourage attackers. Both expert said cybersecurity was an issue for all staff in all organisations, big and small. "All company staff, not just those in IT, need to be aware of potential phishing emails which may have links to infected content," Professor Zia said. "Organisations should also consider 'defence in depth' to ensure every system, computer and smart phone connected in their network is patched with the latest security program." For interviews with Associate Professor Tanveer Zia, in Wagga Wagga, and Dr Rafiqul Islam, in Albury-Wodonga, contact CSU Media.